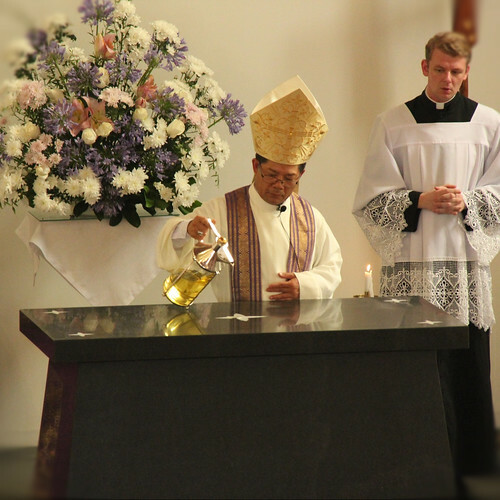 A short liturgical season such as Advent can be easily lost in Australia amidst the pre-Christmas hype and end-of-year rush to the summer holidays. As such, its symbols, prayers and music can help us to hold on to this time of joyful expectation. The usual semicontinuous reading of Mark’s gospel during Ordinary Time in Year B is always put on hold at this point of the year while we listen to chapter 6 from John. John chooses not to repeat the recount of the Last Supper that we see in the other gospels. Instead, John the chapter 6 reflection on the Eucharist that begins with the miracle of the feeding of the five thousand. The connection of this event with Jesus’ teaching that he is the bread of life reminds us that the Eucharist is a meal. Like the miraculous feedings of the gospels, the Eucharist is for us food and drink given to us by God. It is both thanksgiving and nourishment for those who follow Christ. It shows us that there is no limit to God’s giving – we will all receive what we need, with plenty to spare. Jesus also explains to the people, however, that the manna their ancestors ate, however, did not give eternal life. Eternal life is the gift offered to us through the death and resurrection of Christ. Sharing in the Eucharist, therefore, is also to share in the sacrifice of Jesus. Jesus ends the sacrifices of the Old Testament by offering the one new and eternal sacrifice of his own body and blood. The design of our new altar seeks to reflect both the twofold nature of our Eucharistic celebration. The shape makes it recognisable as a table; a table which the entire community of the baptised are called to gather around to feast at the meal that leads us to the heavenly banquet. Its stone fabrication alludes to the sacrificial altars of the past, and communicates to us that the altar represents Christ himself, who sacrificed his own life for the redemption of all humankind. 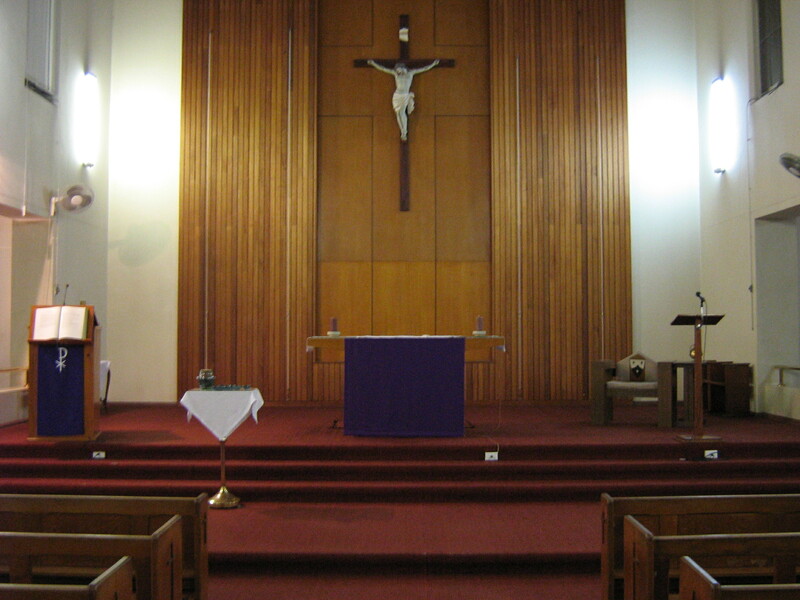 When arriving at Mass last Sunday, one of young parishioners observed that the church looked very bare. Perhaps you noticed this as well. It may have been the lack of flowers or banners. It may have been that there was less music within the Mass than what you’re used to. We’re well aware that during Lent, we as a Church (the people of God) are called to fast. This fasting sees us go without what is unnecessary in our lives and focus on what we really need. The first need, of course, is a deep and loving relationship with God who continually invites us to be closer to him. Similarly, during this season, our church (the building) reflects our Lenten practice with its own fasting. It goes without the extra decoration. It goes without the extra hymns and without the instrumental music. It goes without the echo of Alleluia within its four walls for six and a half weeks. All of this helps us to build in our anticipation and eagerness for celebrating the glorious resurrection of our Lord at Easter. This weekend we celebrate sixty years since Cardinal Gilroy blessed and opened our parish church. 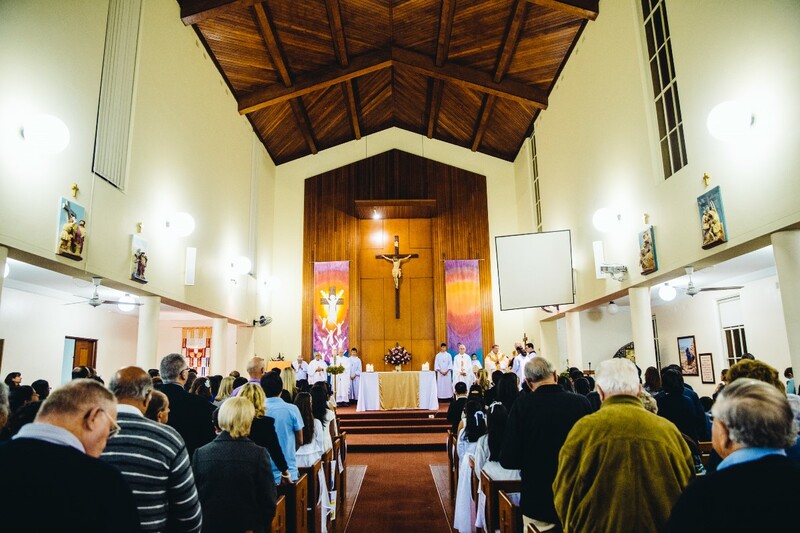 From early times the name “church” has also been given to the building in which the Christian community gathers to hear the word of God, to pray together, to celebrate the sacraments, and to participate in the eucharist. We call our building a church because it is the place the Church prays and worships. In this way, the church building is both the “house of God” and the house of the people of God. Christ is present in both the building and the people; thus our church should be both a place that is fitting for the praise of God and reflective of the parish community that gathers here. Much of our parish’s history and life has been played out within the walls of this building. Unlike many parish churches, all seven sacraments have been celebrated here over the past sixty years, including the ordinations of deacons and priests. The rest of our parish’s story, which has taken place beyond the walls of the church, has been nourished and sustained by our prayer and worship within the walls. The celebration of the Eucharist forms us and leads us out to mission. The past sixty years has seen our building grow and change as we have as a Church. 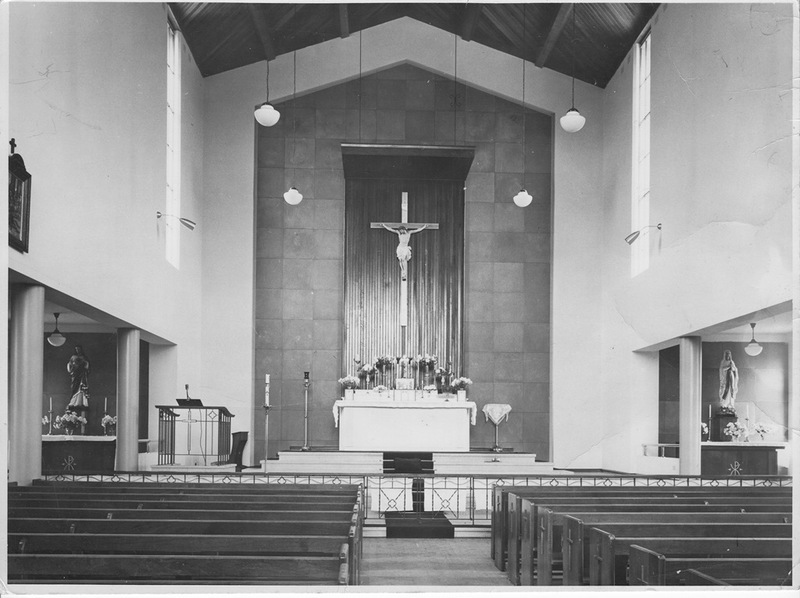 Looking back over photos of the church shows that it is noticeably different to what it was when it opened, and has in fact changed in almost every one of the past six decades. Perhaps the courage of those who went before us, who built this church and shaped it to serve our community and its worship, can serve to remind us that we too must be courageous in our faith as we look ahead to the sixty years to come. Hopefully things look and feel a bit different at Mass this weekend than they did last weekend. All this is done for a greater reason than giving our florist, Sofie a break from arranging flowers for us every week (although with all her great work, she does deserve a rest). The “stripping back” of the space and even elements of the liturgy helps to focus us on the penitential nature of the season. It is similar to what we are encouraged to do in our own lives. Lent is a time when we may fast, particularly on Ash Wednesday and on Fridays, or we may choose to abstain from particular things. Such abstinence may not be specifically from food, but may also be from other material goods or indulgences that we otherwise take for granted. By taking the opportunity during Lent to do away with those preoccupations, we offer ourselves more time and space to focus on our relationship with God.